"The Israeli security forces committed violations of international human rights and humanitarian law," said Commissioner Kaari Betty Murungi of Kenya. "Some of those violations may constitute war crimes or crimes against humanity, and must be immediately investigated by Israel." The Israel-based Meir Amit Intelligence and Terrorism Information Center found that about 80 percent of those killed in the riots were affiliated with Hamas, which controls Gaza, and other terrorist organizations. Israel says that Hamas has used the demonstrations as cover to launch operations to breach Israel's border fence and attack Israelis. Cruz said in a conference call that the U.N. report is a "dishonest" characterization of a more complicated situation in the Gaza Strip, citing reports that Hamas will often insert its fighters into crowds of protesters to incite violence and escape immediate detection from the Israeli military. "It is a repeated and deliberate strategy of Hamas to use human shields," said Cruz, a member of the Senate Foreign Relations Committee. "The U.N. report ignores that reality." 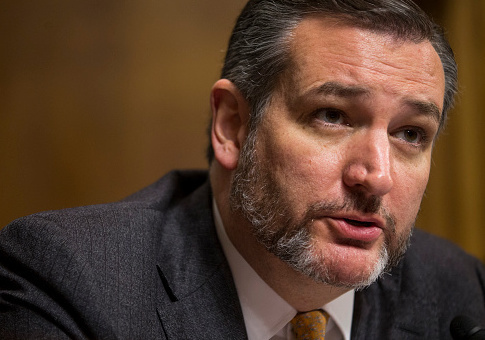 "America stands with Israel for many reasons, but none more important than standing with Israel furthers our own national security interests," Cruz said. Geoffrey Corn, a professor at South Texas College of Law Houston who served in the U.S. Army for 21 years, was also on the call and echoed Cruz's sentiments. Corn is a co-author of a new report by the Jewish Institute for National Security of America, or JINSA, on "legal and operational challenges in Hamas-Israel clashes" during both last year and this year. "Not everything the military is doing is going to be like a battle against a defined enemy," he said, in reference to the U.N. report's claim that Israeli soldiers killed civilians in Gaza. "Framing the confrontation as just another civilian protest was unjustified," Corn said, adding that the U.N. report does not take into account the numerous threats that Israel faces in the Middle East every day. Retired Navy Vice Adm. John Bird, who worked on the JINSA report, was also on the call Monday. He said that Israel's response to the riots was as non-lethal as it could have been, and may have even "saved lives" of innocent Palestinians. This entry was posted in National Security and tagged Hamas, Israel, Ted Cruz, United Nations. Bookmark the permalink.